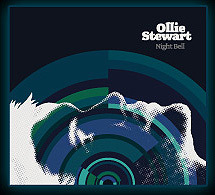 COMPOSED AND RECORDED IN A WIDE RANGE of surroundings, Ollie Stewart's Night Bell benefits from the multi-talented artiste's pure musical abilities. Every note, beat, melody and instrumental line is written and performed by Ollie, who has just announced the debut EP's launch. Described as "a compelling demonstration of one artiste's message and capacity to build a complete musical idea", Night Bell is a compilation of five creditable tracks, kicking off with the beautiful I See Love. To have something that is yours, and yours alone, with such depth and imagination is quite special and Ollie Stewart has created Night Bell with a natural flair; deeply personal and echoing with a shadowy undertone. Is this how Ollie wants to be seen? Somehow, I think it is so. The EP was composed and recorded in a wide range of surroundings which leaves its mark on the record. It begins energetically, with the heavily-produced Moog and drum pad tones of the studio before the sound moves back to its beginnings in a Dorset garden shed, with a thick piano base mixed with beats sampled from wooden beams and brick walls. We loved the way Ollie's voice melds perfectly with the music, especially on I See Love; the clear and pleasant vocals on Savour Me and the ballad-style Tare. As he progresses through My Delight to Made At Dark, the final track has a lovely slow beat and a compelling melody. "It's been a huge journey making the EP," says Ollie. "It takes influences from the wild and epic stadium sounds of 70's Psychedelic Rock, the intricate and dark focus of 90's Trip Hop; while its instrumentation has led to an overall electronica feel. 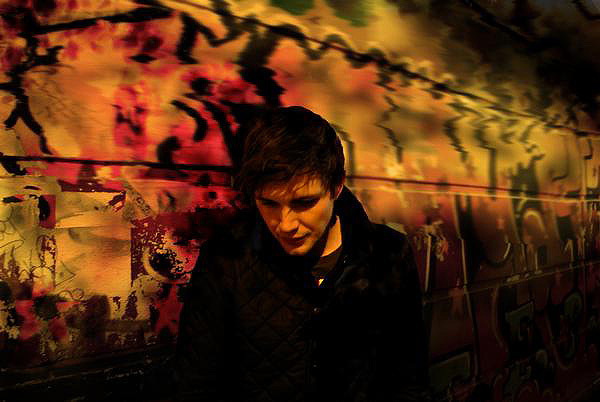 With five tracks that really mean a lot to me, it's very exciting to be releasing this to the wider public." Engineered by rising Kenyan producer Woni Kimani and supported by a talented team of producers and designers, Night Bell has been eagerly anticipated by all involved and is proudly presented as a unique sound inspired by one individual.  The EP is available to download on iTunes and can also be streamed on Spotify and Youtube. Also, check Ollie out at myspace and twitter. Night Bell Tracklisting: 1 I See Love | 2 Savour Me | 3 Tare | 4 My Delight | 5 Made At Dark.